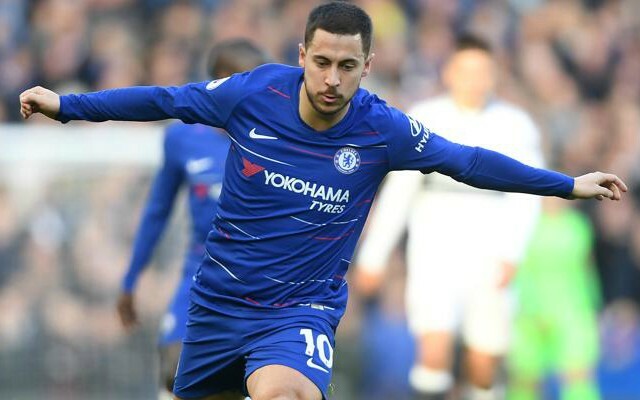 Chelsea were handed a reassuring boost by main man Eden Hazard this weekend, after the player rubbished reports stating that he’d agreed a deal with Real Madrid. Spanish news outlet Sport reported yesterday that, as re-reported and translated from OK Dario, Hazard has agreed a five-year deal with Los Blancos worth around €16.5M-a-year. This would’ve come as heartbreaking news for Chelsea fans to hear, however the Belgian was quick to reassure supporters with his words ahead of Belgium’s match against Cyprus this evening. These words will come as a huge relief for Chelsea fans, who would’ve been devastated to hear the news that their side’s star man had agreed to join Real Madrid. Chelsea losing Hazard would be a huge blow for the west London side, and we fail to see how the club would be able to bring in a suitable replacement for the Belgian international. Real could really do with a player like Hazard, especially following the departure of Cristiano Ronaldo earlier in the season, however following the player’s words here, it seems like the Spanish giants are going to have to try a little harder if they are to pry the winger away from Chelsea.